Éditions Léo Scheer, 2016, 83 p.
Alain Fleischer’s short book responds to and reflects upon both the film Son of Saul (2015) and the reception it has received. 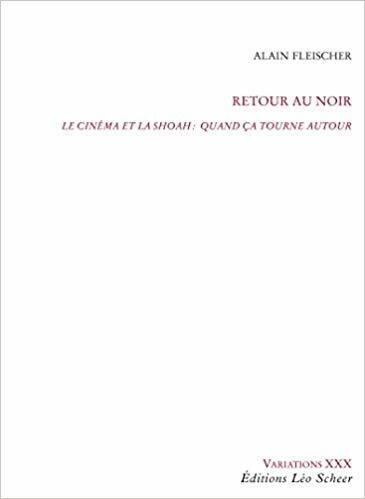 Fleischer’s point is not so much to take issue with Son of Saul as a film (although he is keen to point out that it is not above criticism) but with its surrounding discourse, particularly (as the title indicates) the even shorter pamphlet written by Georges Didi-Huberman that accompanied its release: Sortir du noir (Éditions de Minuit, 2015). Fleischer’s scepticism about that discourse asks three interlinked questions. Firstly, why is Son of Saul seen as a break from other films that have attempted and failed to represent the Holocaust? Secondly, why is everyone in agreement about this film’s success? And finally, if these two conditions hold true, and Son of Saul has essentially solved the problem of representing the Shoah, does that not mean that the film has in effect become a screen that blocks out history, substituting an engagement with art for an attempt to come to terms with the past? Son of Saul is unlike other films which have ‘circled around’ the Shoah (the book focuses on Kapo, Schindler’s List and Life is Beautiful) because its predecessors generated a debate, both in the reactions that they elicited and in their own range of styles and plot devices. For Fleischer, the only way that one could engage with the Shoah is through fracture, contradiction, incompleteness and failure; it is in the mismatch between watching and verbalising that anything worthwhile happens. There is, therefore, too much of a consensus about Son of Saul: Sortir du noir and Son of Saul meld together too neatly; Didi-Huberman’s criticism is too much of a piece. Fleischer shows scant interest in engaging with the actual terms of Didi-Huberman’s reading of the film. He is more concerned with showing that there are no gaps that open up between the critical discourse and the film, and hence this discourse does not open enough gaps between the film and the Shoah. Fleischer also wants to point out the continuities between the other films that he discusses and Son of Saul. The cinematographer Mátyás Erdély’s use of shallow depth of field is not some radical departure from earlier cinematic practice, he insists. Schindler’s List and Kapo also made decisions about rendering certain things visible and others not. Why is Son of Saul’s ‘blur’/soft focus (flou), in contrast with Saul’s sharply rendered face, not comparable to Schindler’s List’s singling out of the girl in the red dress, or Kapo’s reframing of the woman on the wire as the camera pushes in to focus on her and keeps her within the frame? Overall, Fleischer wants to argue that Son of Saul has not solved the problem of representing the Shoah, and that we must return to the darkness of historical uncertainty rather than being dazzled by the brilliance of one attempt to represent history. Some of Fleischer’s criticisms certainly have validity: the use of the category of ‘fable’ as an alibi for problematic depictions of the Holocaust, the practical and ethical problems of what actors are asked to do (lying on top of each other, for example), the fact that soft focus can hardly be called an avant-garde technique, and the way in which reviews and public discussion of films has been co-opted to a large degree by marketing. Others are less convincing. The fact that similar techniques were used in Nemes’s short film With a Little Patience (2007) is given far too much significance: the subject matter is very similar. His questioning of the premise of the film shows he is unaware that the story of someone surviving the gas chamber stems from an eye witness account, that of Miklós Nyiszli (as discussed in Primo Levi’s essay ‘The Grey Zone’). And as Mémoires en jeu’s dossier of December 2016 showed, the reception even in France was not as uniform as Fleischer claimed. Fleischer is also too keen to point an error about Jewish burial practice in the film: a rabbi is not necessary to say Kaddish or to bury a body, despite Saul’s insistence that he needs one. Fleischer attributes this ignorance to the film-makers rather than to Saul. But the film itself thematises Saul’s lack of knowledge of Judaism. Saul fails to identify a fake rabbi, when it is obvious to everyone else (and borne out by the plot); everyone else tells him that his quest makes no sense, including the Sonderkommando rabbi and his friend Abraham, who says that a rabbi is not needed to bury someone. Nemes and Royer have been quite comfortable answering questions about his misunderstanding of Judaism. 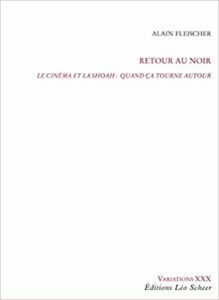 It is true that Nemes’s approach is not an attempt radical rethinking of the possibilities of cinema. However, it is not so much the techniques in themselves that have attracted praise and attention, but rather the consistency with which the film applies them. To that should be added the film’s flexibility: shallow depth of field is used as a norm established within the film, and this produces significance when it is departed from. Consider, for example, the scene when Saul sees the boy, in only the fourth shot of the film. Already the film breaks from its rules in order to show a shift in Saul’s consciousness. At a later point, while Saul sits, guarding the boy’s dead body, in the Sonderkommando’s quarters, the background is all in focus. Nemes and his editor Matthieu Taponier explain this in their commentary on the DVD release as emphasising the distance between him and the rest of the Kommando. Nemes and Royer’s script also thinks quite carefully about the possibility of fiction and its relationship to the Holocaust. Their approaches to agency, plot, empathy, and point of view enable them to avoid some of the pitfalls of fiction film evident in Son of Saul’s predecessors. This is a story that does not offer simple identification with its protagonist, that does not purport to render its subject matter simply visible and assimilable, that follows a protagonist who acts, but is called to agency and deploys his agency in a way that is questionable at best and might even be called traitorous. Fleischer’s reading of the film relies on the idea that an audience will simply identify with Saul, but that is not necessarily the case. Certainly my own experience of discussing the film with my students provides me with many examples of responses that find Saul’s actions bewildering, even unconscionable. Son of Saul also follows a number of changes in public consciousness and academic discussion of the Shoah. There exists a much greater preparedness to talk about some of the more difficult aspects of the Shoah, including the Sonderkommando. Cogent critiques (from both Anglophone scholars such as Karyn Ball and Thomas Trezise, and Francophone writers such as Didi-Huberman and Jacques Rancière) have been made of the notion that the Shoah is beyond representation or understanding. And there is increasing recognition that it is no longer enough to say that we have failed to represent the Shoah; rather we have been representing and thinking about it for a long time now. The amount of writing, thinking and image-making on the topic of the Shoah is so great that no one film can seriously claim to sum it up. One of those shifts is evident in the research that has been done on the Sonderkommando themselves. This is not a body of work of which Fleischer seems to be aware, as his failure to recognize Miklós Nyiszli’s account, even in Primo Levi’s famous retelling, indicates. Nemes and Royer clearly have drawn upon this research, however. And while their script does not simply line up with its conclusions (e.g. they maintain the idea of regular three-monthly liquidations of the entire squad), that knowledge has played its part in allowing them to think about this particular group. The work done in translating and commenting on the Sonderkommando’s writings is key here. Nemes and Royer have read and thought about the ways these prisoners themselves have represented their experiences. Some of the conclusions that they draw seem to me to be wrong: Nemes talks facilely in his DVD commentary about Saul as a zombie and a robot, in a way that does not fit easily with the writings of the Sonderkommando themselves, as I read them. But the film can be read alongside these writings in ways that allow them to speak to each other. The Sonderkommando too made use of pre-existing ways of writing and representing as resources that they had available to them within the camp: Romantic poetry, storytelling, irony. Nemes’s use of the resources of cinema to try to engage with their story is an attempt to carry on a conversation with and about them, not to have the last word on a subject that is only just beginning to be discussed.